The RS:X European Championships take center stage this week following the Trofeo Princesa Sofia Iberostar on Mallorca. The first major regatta for RS:X athletes hoping to compete in the Tokyo 2020 Olympics, it is a must-do event for the British Sailing Team (BST) and 30 British competitors are entered for the four major RS:X titles. The Europeans are shoehorned in between the just completed Sophia and the World Cup round in Genoa, Italy next week. But for BST members this will be their first big selection event on the road to the 2020 Games, with selection for the final Test event in August this year the target. Most of the Brits used last weeks Sophia as a final training run, saving their big effort for the Europeans. Britain’s Olympic bronze medallist, Bryony Shaw returned to the World Cup circuit last year, following the birth of her son Jaddek, and is targeting a fourth Olympic Games. Shaw raced four of the Palma regatta races, with a consistant 4,4,4,5 scoreline before pulling out to focus on the upcoming Euros. None of her BST rivals took part. 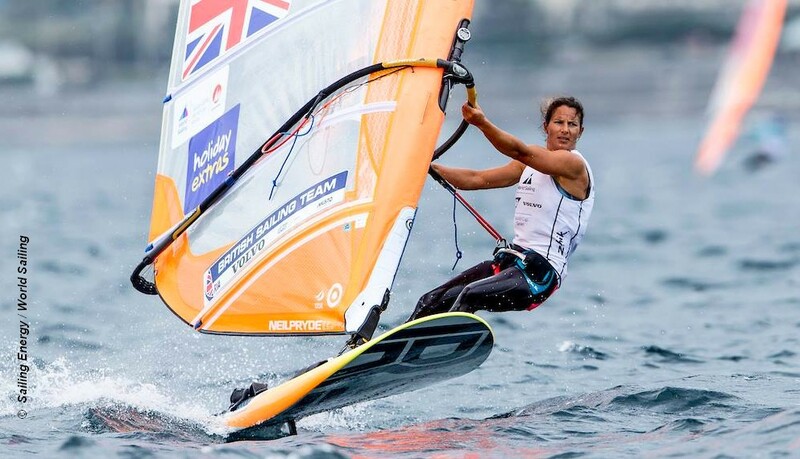 In the Europeans she will face six BST rivals for British Olympic selection as well as the 70 strong international fleet. Leading Shaw’s challengers for the Olympic spot are Emma Wilson and Saskia Sills. At the recent Miami World Cup, Wilson finished ninth with Shaw in tenth. Also entered is 2018 youth world champion Islay Watson in her first major regatta since joining the British Sailing Team, as will her sister Erin, the 2018 UK youth national champion. In the men’s event whoever gains selection for Tokyo 2020 it will be a first time Games appearance. Nick Dempsey was the face of British men’s Olympic windsurfing from Sydney 2000 to Rio 2016, winning two silver and a bronze, with his retirement the field is wide open. No one in the present men’s squad has been able to pick-up the Dempsey batten on the international stage, but the top selection spot looks to be between Kieran Martin-Holmes, Tom Squires, Dan Wilson and a fast improving Andy Brown. For Holmes-Martin the event marks a welcome return to action after spending several months sidelined with injury. Racing in Palma starts Tuesday and culminates with medal racing for the top ten sailors in each fleet on Saturday 13 April.